The most effective warehouse security plan combines high tech and low tech, foundational solutions. Working together, these solutions create a safe, secure environment no matter how tight or sprawled out your area. No matter how many people come in and out a day. 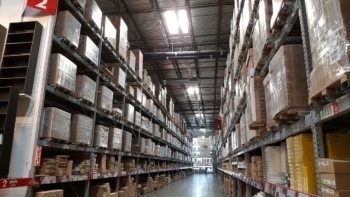 No matter what type of inventory is warehoused. Meet compliance standards and prevent product loss with environmental monitoring that records and tracks temperature and condition. Smart building technology replaces manual recording and reporting, which saves time and money. This technology can deliver real-time notifications of any environmental changes that could put your inventory or machinery in danger. This can include monitoring for fire and flood. Placing RFID tags on products manages and tracks inventory, which eases administrative duties by monitoring inventory at any stage from packaging, assembly and storage to point-of-sale, etc. With RFID tracking, you can store and back up data to the cloud in real time. Allow entrance to certain warehouse areas based on security clearance and job function with an access control system. 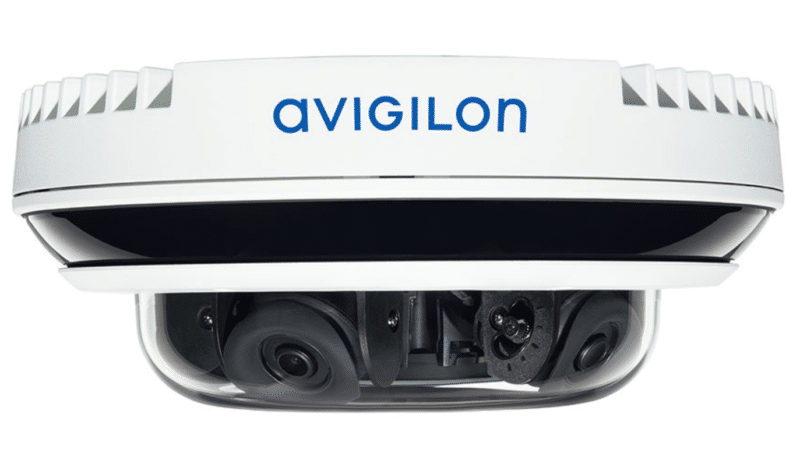 When used in conjunction with commercial video surveillance, it’s possible to actively monitor your facility and record suspicious activity. When integrated, these two systems can centralize control for simple administration and management. Most warehouses have a network already in place. Take better advantage by connecting IP video surveillance to it. Strategic camera placement can give a clear view of people and grounds. Plus, the footage captured can be used later as evidence or to identify areas for workflow improvement. Protecting against intrusion can be a matter of barricading doors and windows from the inside. 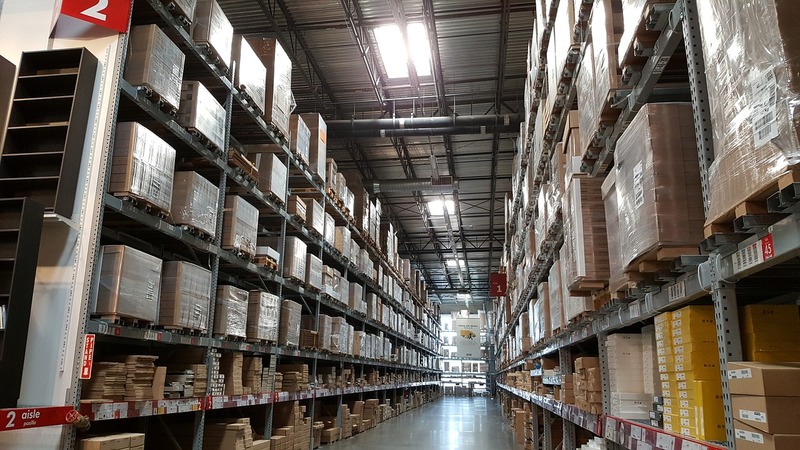 Intruder defense devices are constantly improving, so our team carefully evaluates the newest options in context of your warehouse’s needs to recommend specific products for your facility’s size and layout. They’re a deterrent, plain and simple. Hand-held or walk-through metal detectors add a level of contemporary security technology to warehouses. And, just knowing they’re there is a symbolic component of any warehouse security system. Perhaps the oldest, but still effective means of warehouse security are commercial-grade cylindrical and mortise door locks, closers, panic bars and keying systems that can be used with frames crafted from metals and woods. When crowd control and queuing are required either indoors or out, Mechanical and electronic waist high turnstiles regulate traffic flow. Electronic turnstiles can be integrated with an electronic access control system work seamlessly together for stronger security. Fencing is another physical barrier that is so low tech that many warehouses forget about it. Fencing around the vicinity keeps people out of areas they shouldn’t access. It also creates an aura of protection, especially when used with lighting and security cameras. Fencing could be enough of a deterrent for criminals to find another target. If not, your security camera could catch criminals trying to go through, under or over fencing, then alert you in enough time to call the authorities before any harm is done. Signage is so effective that people who don’t own a dog hang “Beware of Dog” signs for security reasons. Surveillance signage can deter criminal acts, as criminals move along looking for an easier target than your warehouse. Security cameras are prevalent today, and criminals know this. Communicate with employees to find out where some of the biggest holes in your warehouse security are. Perhaps no one knows your facility better than those who are on the floor 40+ hours per week. Employee communication also makes your team feel like their voice matters, which could improve morale and reduce theft. 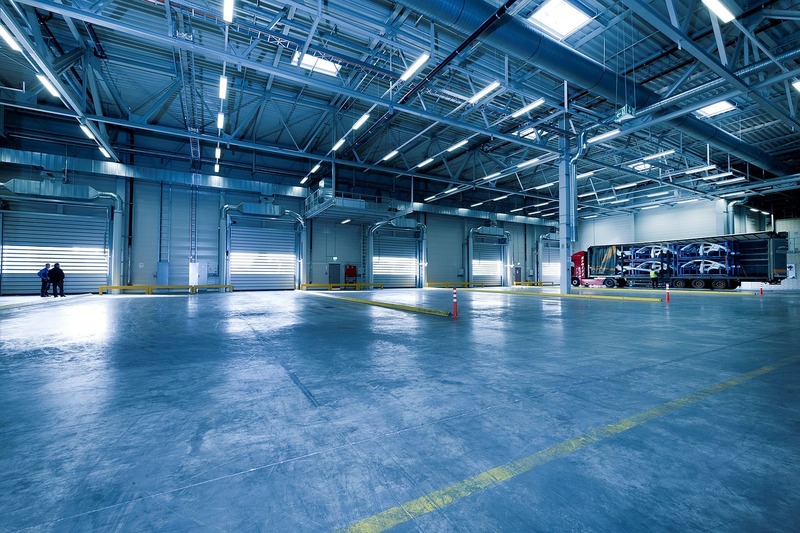 When it comes to warehouse security, there are so many factors to take into account – from the size of the facility and the type of inventory to the people who work and visit there every day. The goal is to secure the area, stock and people from every imaginable internal and external threat. Yet, unless regulations or your inventory dictates it, you want your warehouse as secure as Fort Knox without necessarily “feeling” locked down like Fort Knox. Since the passage of medical marijuana by Missouri voters in November 2018, the Missouri Department of Health and Senior Services has begun work to develop rules and regulations for the industry. Looking to other states, such as California and Colorado, will help policy makers in developing regulatory and safety standards. Even with these guides in place, medical marijuana may not be available for purchase until January 2020. While the timeline for rollout seems lengthy, this timeline can be advantageous to business owners preparing to engage in the industry. As with any business, there will be a lot of decisions to make and red tape to navigate. One significant component that should be well thought through, especially for medical marijuana and cannabis-related businesses, is security. From cultivation to manufacturing, testing, transportation and dispensing companies, security will not only be a fundamental component to business success, it will also serve as required factor in facilitating efficient operations that help comply with regulations. 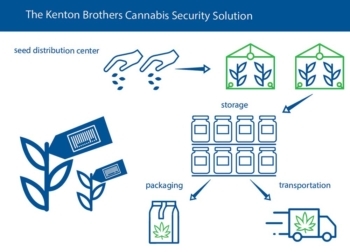 In this three-part blog series, Kenton Brothers will provide you with our layered approach to cannabis security. First, we’ll introduce you to the concept of Seed-to-Sale tracking. In following posts, we’ll help you understand how integrated systems like commercial video surveillance and access control can help you monitor interactions with product. Following the example of other states who have already implemented medical marijuana will likely result in the implementation of “Seed to Sale” tracking regulations. States will require growers to track plants with a unique RFID (Radio Frequency Identification) tag. With this tag, growers will be able to quickly inventory each plant. However, the RFID tag is not only relevant to growers. This tag will create data as the plant moves through the supply chain. Why are these RFID tags good for businesses? It creates efficiency in inventory and sales. It’s also more efficient to help you meet compliance standards. RFID tags create real-time data that can be securely backed up and stored in the cloud. It’s also extremely powerful for point-of-sale purchases. 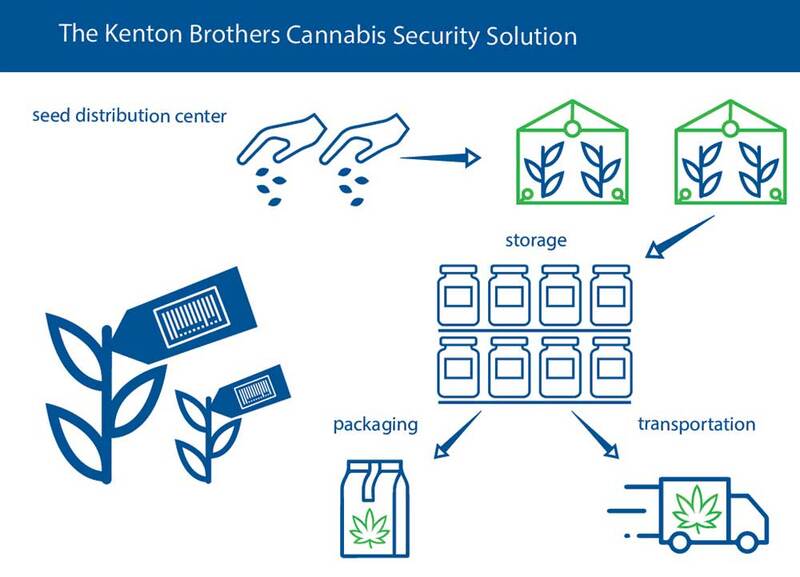 Using RFID tags can integrate with sales software to help manage inventory – making it a valuable cannabis security tool from seed to sale. In addition to securely implementing business operations, RFID tags provide data to regulators. This helps state departments monitor things like the outputs between growers or identify food safety issues in products like infused oils and edibles. 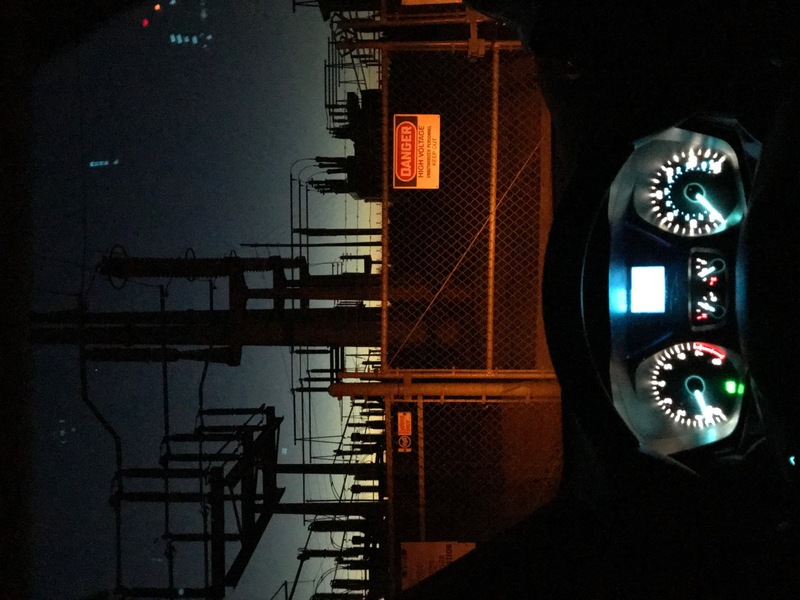 Evergy substation project: 10,742 miles… 221 sites… in 8 weeks? Sure, we can do that. Last September, evergy approached us about a project that would add access control to 221 of their remote locations. The remote locations have been built over a period of more than fifty years with various locking hardware at each location. So, the mission was to go loaded for bear and make sure the technicians had every possible combination of lock, cylinder, and other hardware they might need as they went on their routes each week. Adding access control to remote locations can be challenging. Most, if not all, of their sites don’t have a network connection back to the evergy headquarters. Some don’t even have cellphone coverage. That’s where Abloy Cliq comes in. Cliq is a technology where every lock has circuitry built in. Every key for the lock has additional technology and a battery. When a key is presented to the physical lock, it powers up the lock, exchanges information, and either allows or denies entry. Both the key and the lock store the transaction, so there’s never a concern about lost data. Every week, the key has to be “refreshed” at a networked location. While being refreshed, the key sends every lock it has touched back to the system and the system updates the allowed locks back to the key. This provides evergy an audit trail of every lock and what was accessed for the week. If a key is broken or damaged, evergy personnel can get the audit log directly from the locks at their remote locations. The system requires no internet, network or power at the access control location, making it versatile. Abloy Cliq bridges the gap between offline and online access control systems. After safety and Cliq training, four of our technicians were sent out on a mission. We weren’t sure of the locking hardware at each site. Every site was a potentially new situation. Sometimes we would get onsite and discover that a padlock needed to be replaced. Other times, we needed to spend 6-8 hours worth of work doing discovery. 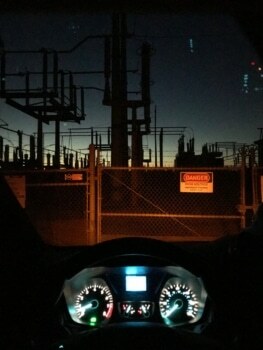 Sometimes our team started before dawn. Thankfully, mother nature held off on snowstorms until after the project was completed. 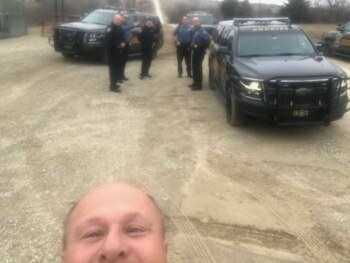 And apparently, if you drive a white van around substations in the middle of a farmer’s field, the state police might be called. Even though the project was fast and furious, our technicians did an excellent job. They kept a great attitude in spite of the long hours and changing requirements. They adapted to each new challenge and secured all 221 sites for evergy within 8 weeks. https://kentonbrothers.com/wp-content/uploads/2019/01/IMG_1170-e1548276299290.jpg 2016 1512 Neal Bellamy https://kentonbrothers.com/wp-content/uploads/2017/10/Kenton-Brothers-Logo.jpg Neal Bellamy2019-02-20 06:00:352019-03-25 09:52:43Evergy substation project: 10,742 miles... 221 sites... in 8 weeks? Sure, we can do that. Kenton Brothers can trace its customer service roots back to 1897. Our Retail Counter, customer-facing environment is at the forefront of service for our customers. Every day, our customers are coming in with various needs as a result of their businesses growing and evolving. That’s where the Kenton Brothers Retail Counter comes in. It’s a resource for their overall facilities physical security needs. Those needs come in the form of keying, part repairs, parts ordering, security needs, and knowledge database. Our customers rely on the Retail Counter to be the gatekeepers for physical security at their facilities. Our internal database of records is guarded by checks and balances specifically outlined by our customers. Approvals must be followed every time. The Retail Counter staff works tirelessly to make sure requests are correctly followed and delivered on time. Over the years, the Retail Counter has grown from a key shop to a full service solution for our customers. The Retail Counter can help customers create and manage key systems, duplicate keys, re-key, order parts, repair parts and the list goes on. We welcome local walk-ins every day, but not all of our customers are local. We have customers across the country that rely on our knowledge and products to protect them. One day the Retail Counter Staff is cutting keys for a customer in Texas and the next they’re working with a customer in Arizona. We have thousands of key blanks and cylinders on hand, thousands of lines of in-stock product, as well as thousands more available through our vendors, and decades of experience to back it up. From the entire Kenton Brothers staff, we invite you to allow Kenton Brothers and the Retail Counter Staff to help protect the people, property, possessions, you hold dear.